Some of today’s biggest household names were founded at least a century ago by upstart entrepreneurs with an innovative idea. We’re talking about the businesses that produce things like our favorite cars, chocolate and cereal. Why do some companies thrive and grow while others fizzle out? Chalk it up to good timing, recession-proof products or genius business acumen, but perhaps the key to longevity might simply be keeping up with -- or, better yet, ahead of -- the ever-changing times. The rest, as they say, is entrepreneurial history. 1. General Motors was founded in Detroit, Michigan in 1908 by William C. Durant as a holding company. He immediately bought the Buick company, and, in the last century, the corporation has acquired many other automotive, construction and appliance brands, too. Durant originally began his career by starting Durant-Dort Carriage Company in 1886. Later, he founded Frigidaire and co-founded Chevrolet. Fun fact! GM introduced two electric vehicle prototypes in the early 1960’s. Their production was ultimately scrapped due to the enormous cost of fuel cells. The founder & the company today: General Motors continues to be a thriving corporation with its Chevy Silverado truck the 2nd best selling vehicle in USA. Durant didn’t fare so well. His gamble in the stock market late in life resulted in bankruptcy, and he spent his final years flipping burgers at a bowling alley in Michigan. 2. The Hershey Company began in 1894, and it really took off when candy maker Milton S. Hershey built the world’s largest chocolate factory in Pennsylvania in 1905. Today Hershey is more than a chocolate bar -- it’s also a town, a hospital, a boarding school and the parent company for brands such as barkThins, SkinnyPop, Scharffen Berger, Dagoba Chocolate and Mauna Loa Macadamia Company. Fun fact! Milton and his wife, Kitty, booked first class passage on the Titanic in 1912 but had to cancel their trip at the last minute. The founder & the company today: The Hershey company thrives with $7 billion a year in revenue. Milton Hershey died from pneumonia at the age of 88 in 1945, one year after retiring from the company board. 3. Kellogg Company (dba Kellogg’s) was founded in 1906 by Will Keith Kellogg. The breakfast business grew out of the original Battle Creek Toasted Corn Flake Company he started with his brother in Michigan. The company diversified beyond cereal by acquiring other food brands including Keebler, Gardenburger and Pringles. Fun fact! Kellogg’s was the first cereal company to include prizes in cereal boxes, a move that appealed to children and spurred brand loyalty. The founder & the company today: Kellogg’s is an international company that brings in $14.8 billion in annual revenue, with major factories in the US, the UK and beyond. Will Kellogg died a wealthy philanthropist at the age of 91 in Battle Creek, Michigan. His charitable legacy is responsible for the founding of Cal Poly Pomona and Kellogg University in Oxford, England. 4. International Business Machines (IBM) was founded in 1911 as the Computing-Tabulating-Recording (CTR) company by Charles Ranlett Flint in Endicott, NY. The company first produced machinery, scales, meat slicers and time clocks before eventually moving into data processing in the 1930’s. “Big Blue” diversified its portfolio over the years with healthcare companies, media networks and mobile technologies. Fun fact! In 2018, IBM introduced a computer the size of a grain of salt that costs less than ten cents to make. Still in development, its ultimate function as a “crypto-anchor” will track shipments and goods in the international supply chain. The founder & the company today: Today IBM is one of the world’s largest employers with over 380,000 “IBMers” working in locations around the world. IBM was one of the first employers to ensure equal rights at work for women, African Americans, members of the LGBT community and people with disabilities. Before IBM, Flint founded U.S. Rubber and a number of chewing gum companies. He served on the board of directors at IBM until 1930. He died four years later. 4. Nintendo Co., Ltd. was founded in 1889 (crazy, right?) by Fusajiro Yumauchi, an entrepreneur who manufactured and sold playing cards. Nintendo got into the video game business in 1974. In 1985 the company launched the original NES game console in the U.S. and ushered in Duck Hunt and Super Mario Brothers to the pop culture. The founder & the company today: Today Nintendo boasts four of the top ten all-time best-selling game consoles and a market value of $85B. Nintendo is also a majority shareholder of the Seattle Mariners MLB team. The original founder, who continued manufacturing playing cards, was succeeded by his son-in-law. Fun fact! Both Bell’s mother and his wife were deaf. As a result, while developing the telephone he focused much of his study on applying electricity to sound. And get this: He considered the telephone a huge distraction and wouldn’t allow one in his office! The founder & the company today: Today, AT&T is the world’s largest phone company once again, and it’s second only to China Mobile as the largest mobile phone provider in the world. The corporation also owns subsidiary businesses like Cricket Wireless and DirecTV. For his part, Alexander Graham Bell is claimed as a “local” by the U.S., Britain, Scotland and Canada. It’s no wonder, given that his contributions to science, engineering and telecommunications were immense. 6. Sears, Roebuck & Company was founded originally in 1886 as the mail order company “R.W. Sears Watch Company” by Richard Warren Sears. He saw an opportunity to disrupt the limited selection of goods offered by local general stores throughout small town American by publishing a catalog offering a wider variety of products via mail. The first retail location was opened in Indiana in 1925. Fun fact! Sears sold more than 70,000 mail order home kits between 1908-1940. The founder & the company today: Sears ended its general merchandise catalog in 1993 due to sinking profits, and in 2004 the company was acquired by Kmart. In April 2018 Sears announced the auction of some of its retail stores in order to regain some liquidity. Richard Sears died of kidney disease in Wisconsin in 1914. 7. Brooks Brothers was the first men’s clothing company in the United States, founded by Henry Sands Brooks in New York in 1818. Brooks Brothers introduced the ready-to-wear suit and the polo shirt. The company has outfitted 40 of 45 U.S. presidents. It also notoriously profited from both war and slavery by manufacturing shoddy military uniforms and selling clothes specifically for slaves to wear. Fun fact! President Abraham Lincoln was a loyal Brooks Brothers customer and was wearing a Brooks Brothers custom suit jacket when he was assassinated. The founder & the company today: Brooks Brothers celebrates its 200th birthday in 2018 under the creative direction of designer Zac Posen. There are 280 stores located all over the world, selling both men’s and women’s upscale clothing. When Henry Brooks Sands died in 1833, he willed the company to his four sons who later changed the original name, H. & D.H. Brooks, to Brooks Brothers. 8. Madame C.J. Walker Manufacturing Company was founded in 1910 by the eponymous Madame Walker, originally born Sarah Breedlove. Tired of African-American hair products that burned her scalp, she set out to create a better cosmetic experience for black women. Fun fact! Madame C.J. Walker was the first female self-made millionaire (adjusted for inflation) in the United States. The founder & the company today: The company lives on today as Madame C.J. Walker Beauty Culture sold exclusively through Sephora. The Madame herself passed on in 1919 after establishing herself as a major philanthropist, supporter of civil rights and a successful business woman. QB Community members, what do you think is the key to 100+ years of successful business operations? What do you think is the key to 100+ years of successful business operations? For longevity, businesses need to be receptive to what the world brings, they need to be open, fluid, and infinitely adaptable. Which of these businesses do you think has the best chance to be there for another 100 years? Re: Which of these businesses do you think has the best chance to be there for another 100 years? 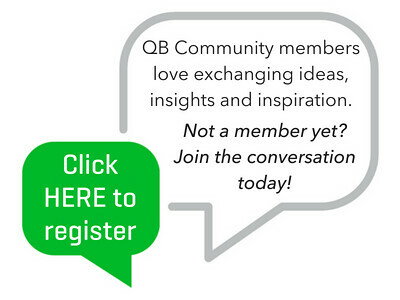 Hey @Mendelson - welcome to QB Community and thanks for your post. What a fun question! Based on your observation that adaptability is the key to longevity, I'd put my money on AT&T, which has managed to navigate mind-boggling shifts in the telephone industry without losing its status as a market leader. What's your pick?